Kussbus by Utopian Future Technologies S.A. Inspired by the process of natural selection, Kussbus’ revolutionary technology empowers public transit operators to build and improve their transportation network based on continuous learning from their passengers and drivers. Focusing on suburbs to city commuting, where people heavily rely on their private cars, Kussbus solves a daily burning problem which is relevant to more than a billion people across the globe. Operating in Luxembourg, France, Belgium and Austria, Kussbus proves to take cars off the road, relieves congestion and provides more accessible and cost-efficient transport. The platform leverages the enormous power of information passengers and drivers share via an app and combines it with open source traffic and public transport data. Based on this massive data, in a process inspired by natural selection, our algorithms relocate stops and change routes, while measuring and responding to real time drivers and passengers’ behaviour. 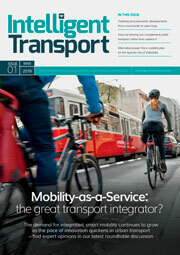 Kussbus’s technology turns every public transit operator into a smart transportation company.